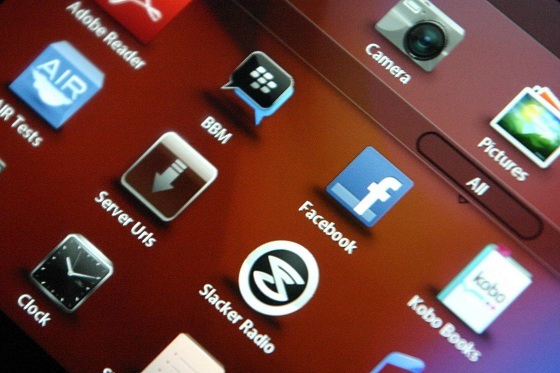 We all know that Research In Motion (RIM), the makers of the BlackBerry smartphones and the BlackBerry PlayBook have not been doing much good in the recent past with the company’s share dropping drastically and its recently reported loss of about $125 million in the past quarter. But then this is not keeping the company at bay from developing and bringing in a 4G version of its failed ‘BlackBerry Playbook’ tablet. We have heard about the 4G tablet a few times in the past but now we have a couple of pictures of the tablet pop-up from CrackBerry’s Forum as you can see above. Interestingly the user who has posted the pictures has a username ‘Fakedeadmau5’ and he apparently doesn’t even know how the tablets work. 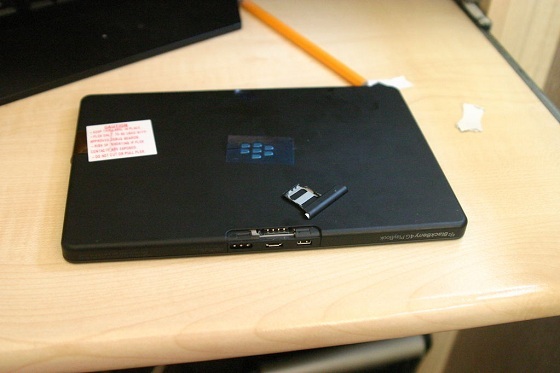 But with the help of other forum members he was able to post a few screenshots of the tablet. He got his hand over the tablet via someone who probably picked them up for somewhere (read stolen). And another interesting thing about the 4G PlayBook is that Fakedeadmau5 has not one but three 4G PlayBooks. YEAH! 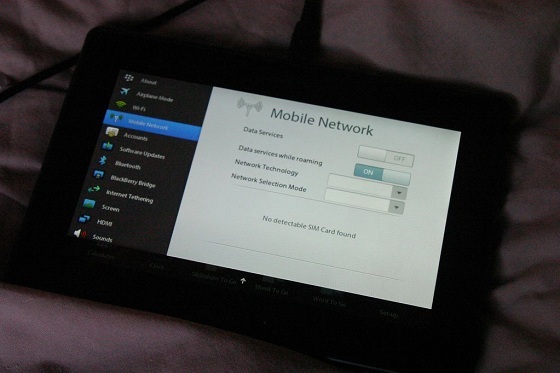 Looking at the images that the user posted, we can see the ‘mobile network’ icon on the settings screen which makes it a genuine 4G tablet. While in the photo posted below we can have a look at the space for the SIM card, which is located where the charging port, HDMI out, and other ports are. Also when users asked him if there was a native BBM over the device, Fakedeadmau5 said YES! And posted a picture of the BBM messenger in the menu, which according to me is looking a bit fishy. 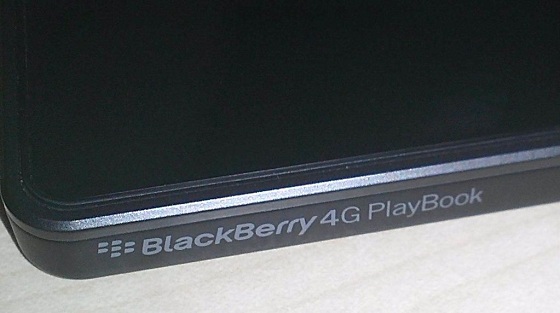 But we really pray that RIM brings in this onto the 4G tablet as that may go on to boost the sales for the company.